Unions of electricity employees have been opposing the Electricity (Amendment) Bill 2014, which seeks to bring in private companies to compete over selling power and make profits while the government lays down the wires. Power sector employees across India have been opposing the Electricity (Amendment) Bill 2014 — which seeks to extend privatisation to the distribution of electricity — ever since it was first introduced. Protests began again last year following news reports that the BJP-led NDA government was planning to reintroduce the Bill in Parliament. Now, unions of electricity employees and engineers from all over the country are coming together in Delhi today to chart out the future course of their resistance against the amendment Bill. A National Convention is being held in the Capital under the banner of the National Coordination Committee of Electricity Employees and Engineers (NCCOEEE) — a platform of all unions and federations in the power sector with more than 2.5 million members. Over the past few months, unions of power sector employees in the country, as part of the NCCOEEE, have been mobilising the workers and raising awareness among the consumers regarding the anti-people provisions in the amendment Bill. Several meetings, regional conferences and protests have been held in various parts of the country, including a massive protest in Delhi on 3 April, when thousands of electricity employees from all over the country stormed Parliament Street. The Electricity (Amendment) Bill 2014 seeks to replace the Electricity Act 2003. The Bill wants to bifurcate the distribution of power into into carriage (the distribution network carrying the electricity to consumers) and supply (or the sale of electricity to consumers). Basically, the government will lay down the wires that carry the electricity up to the consumer, while private companies will do the actual selling of the electricity. This move is intended to separate out the more profitable aspects of distribution that can then easily be taken over by the private players. Further, the Bill introduces multiple supply licensees who would be supplying electricity, so they would be competing over selling the power. However, one of the supply licensees has to be a government-owned licensee, and there is a reason why. The government is pushing the Bill, meant clearly for the profit of private companies, on the false premise that competition will lead to better services for consumers. But the fact is that it is bound to lead to the supply of electricity becoming more expensive — in a country where nearly 30 crore people are still without electricity. That is because private companies, whose raison d'être is making profits, would only be interested in the large, high-paying consumers, such as industrial units and large-scale commercial establishments. These are the highly profitable consumers over whom the private companies would be interested in competing. But the small-time consumers that are not profitable, such as rural households and small shops — which will count as the loss-making segments of consumers — would be left for the government to take care of. Hence, the one mandatory government-owned supply licensee. This is also likely to lead to a situation where the consumers will either have to pay much higher for the electricity supply, or suffer from erratic supply. In effect, if passed, the legislation would lead to the nationalisation of losses and privatisation of profits. The sale aspect of distribution would also include activities of giving out new power connections, installing the meter, meter reading, changing the meter, issuing bills and collecting the revenue. Meanwhile, the maintenance of the network infrastructure will be done by the government. The Electricity Act 2003, which had replaced the Electricity (Supply) Act 1948, had dismantled the State Electricity Boards and had trifurcated the electricity boards into three separate entities — catering to generation, transmission and distribution. This move was in keeping with the World Bank model of “unbundling” of the power sector, which would allow entry of private companies into the safer and more profitable aspects. 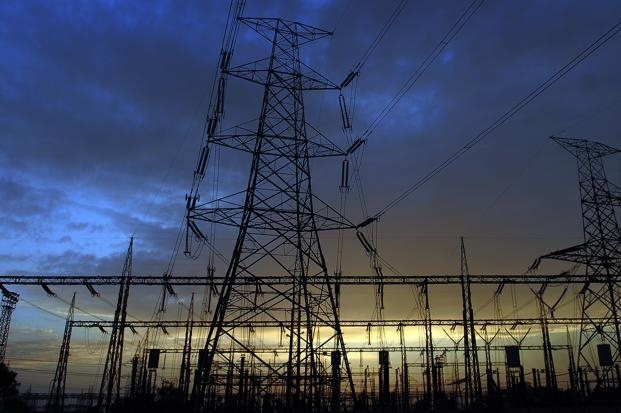 As a result, a large number of private companies entered power generation, even as transmission and distribution remained with the state governments, except for a few cities like Mumbai, Delhi, Kolkata, Surat and Ahmedabad, where there are privately owned distribution licensees. In Odisha and Delhi, the privatisation of distribution failed spectacularly. Although some states, such as Himachal Pradesh, had resisted the unbundling, Kerala is the only state that has not trifurcated its electricity board. The state-owned distribution companies (discoms) have already accumulated losses of Rs 4.14 lakh crore while their debt has risen to 4.22 lakh crore as of 2015-16, to a large degree because they have no control over the cost of generation, mainly due to faulty power purchase agreements. A significant part of private generation takes place with the help of bank loans and private owners have been resorting to all kinds of shenanigans to reap profits. This Bill would not only further deepen the crisis that the Indian power sector is going through.